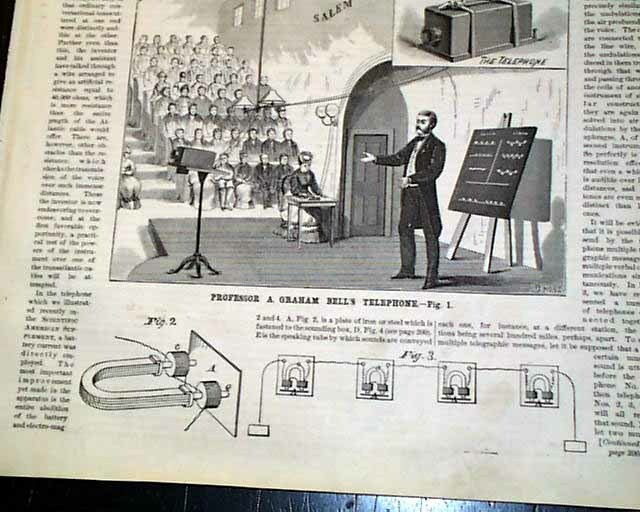 A front page report headed: "The Telephone" begins: "We have already laid before our readers accounts of the wonderful performance of Professor Bell's telephone, an instrument remarkable not merely for its phenomenal capabilities but also because of its having been brought to its present stage of development within the period which has elapsed since June last....Without undertaking to follow the inventor through his various improvements, it will suffice here to state the telephone has recently carried the human voice over a distance of 143 miles (from Boston to North Conway, N.H.), so that ordinary conversational tones uttered at one end were distinctly audible at the other..." with much more. 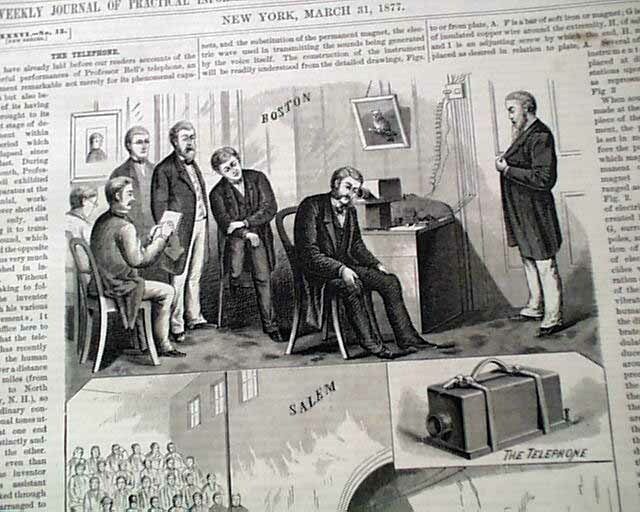 The front page also includes a print showing Professor Bell lecturing on the telephone at Salem, Mass. 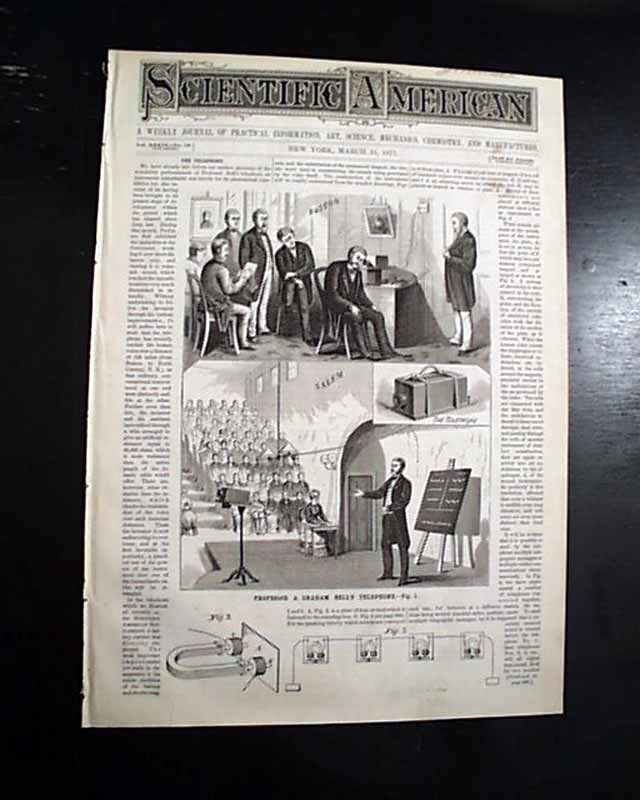 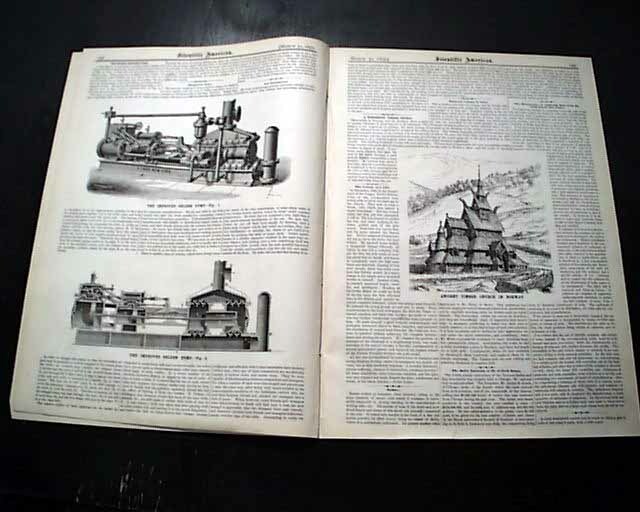 on Feb. 12, as well as a group in the inventor's study in Boston, receiving the transmission of his lecture. 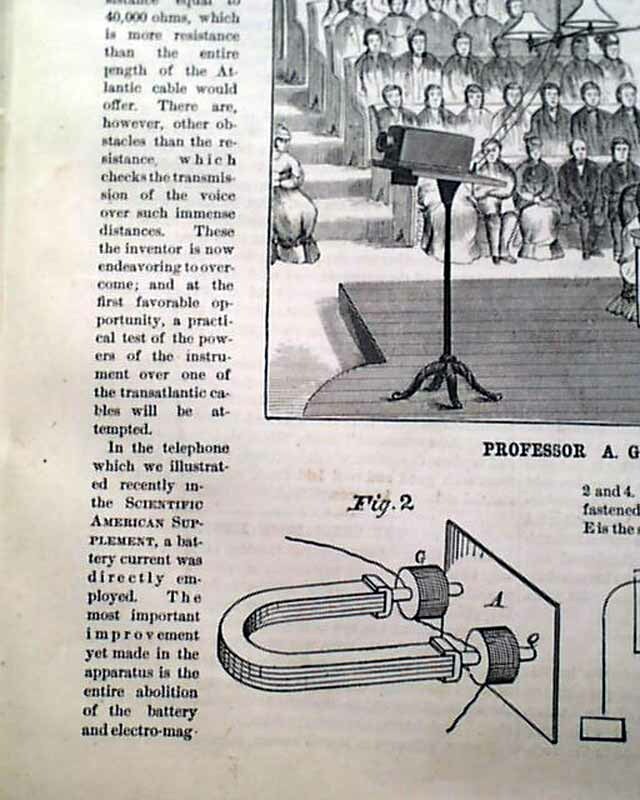 There is also a small inset of "The Telephone" and a diagram of the wiring that improved the tones. 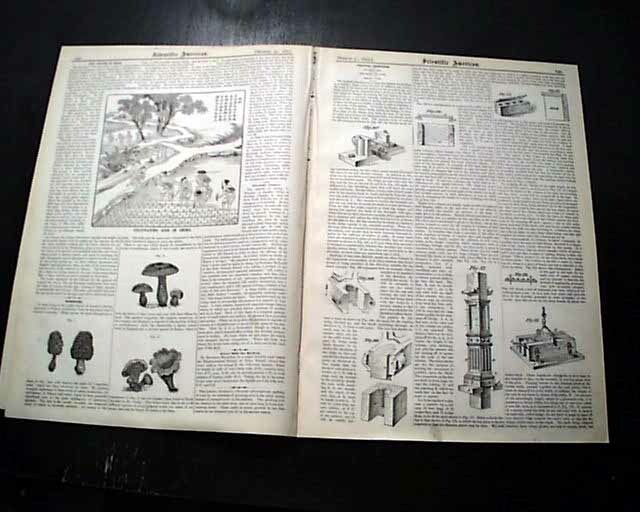 The report continues inside where there is a diagram showing the inside of the "sounding box". 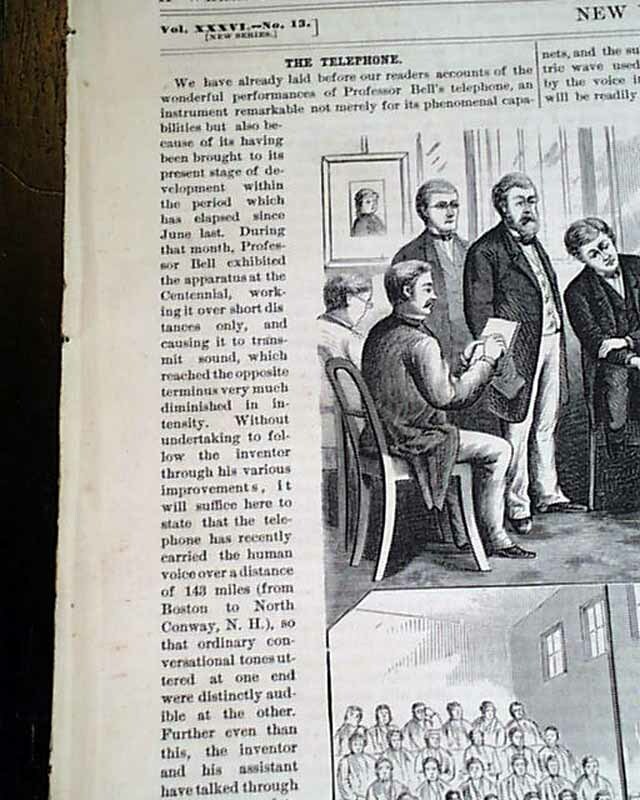 This is a significant issue marking the improvements in the telephone, first introduced the year prior.